At your dental exam in West Covina, Dr. Tran will perform routine checks that are vital to your oral health. Dental X-rays provide insight into the condition of your teeth. Each individual tooth is examined and checked for decay. The gums and surrounding tissues are examined and evaluated for signs of oral cancer. 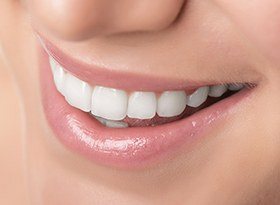 All existing dental work and restorations (such as dental crowns, fillings, and dental implants) are also examined for possible decay, gum disease, bone loss, etc. In addition to home preventive dental care, dental cleanings are recommended every six months. Our dental cleanings include procedures that are important to your overall oral health. Plaque removal is an integral part of the dental examination. A sticky film that forms around the teeth is known as plaque. Plaque forms from saliva, food, and bacteria. Once plaque multiplies and hardens, it becomes tartar. Tartar forms above and below the gum line and is often yellow in color. Unfortunately, tartar cannot be brushed off and the removal of tartar (or calculus) requires a trained hygienist or dentist. Tooth polishing is where the surface of the tooth is smoothed. This is essential, as polishing makes it difficult for plaque to accumulate on the surface.